Any time Fine Brothers Entertainment has kids react to a classic rock band, their reactions are usually gold and that trend continued when they listened to Led Zeppelin. 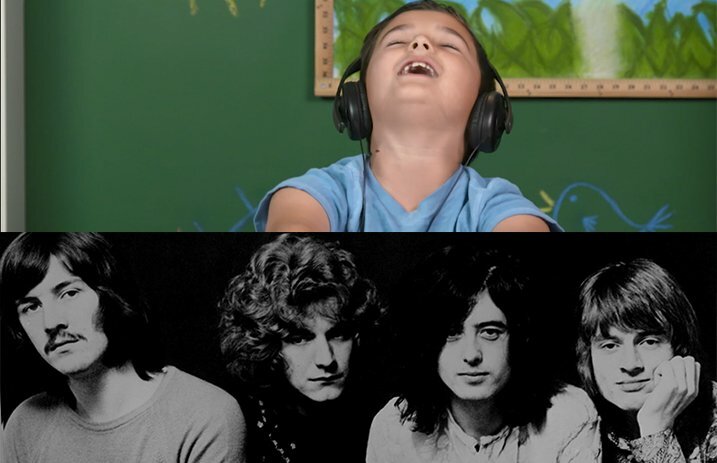 Check out what these kids thought of Zeppelin below! It was at this point that Jake became our favorite reactor of the entire video. After listening to countless classic Zeppelin tracks, the kids were still pretty split on whether they consider Zeppelin to be one of the greatest bands of all time. “They're like second place … actually third. Beatles, than Twenty One Pilots. That's my order,” says 9-year-old Madison. Like we can disagree with that! Who do you want to see these kids react to? Let us know in the comments!